If your twins choose The Shining Grady twins costume for Halloween, they'll give tribute to one of the greatest horror films ever made. 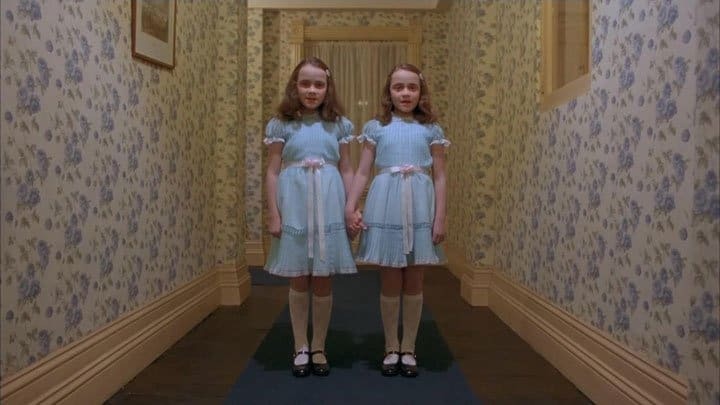 Find out where to buy The Shining twins costume for children and adults. 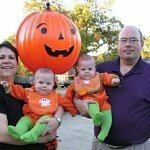 If your twins choose The Shining twins costume, they will give tribute to one of the greatest horror films ever made. The Shining was released in 1980 and was produced and directed by Stanley Kubrick. The film is based on Stephen King’s 1977 novel The Shining. It’s about Jack Torrance, who was played by Jack Nicholson. He accepts a position as an off-season caretaker of an isolated hotel. He goes there with his wife and young son Danny. Danny possesses “the shining.” He has psychic abilities that include him seeing the hotel’s horrific past. The hotel had a previous caretaker who killed his wife and two daughters. The actresses who played the ghosts of the two murdered Grady daughters are identical twins Lisa and Louise Burns. 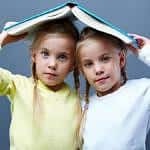 However, the characters in the book and film script are merely sisters, not twins. This Grady twins costume is great for twin sisters, siblings or friends who want the ultimate horror look for Halloween. The dress is made of 100 percent Polyester. 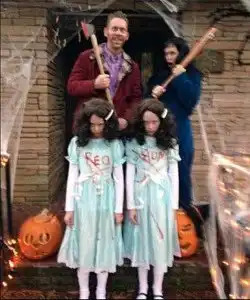 The shining twins costume can be bought on Amazon. This Grady Twins costume is perfect for adult twins or friends who’d like to dress up as the twins from The Shining. The dress is made of 100 percent Polyester. The shining twins costume can be bought on Amazon. This Grady twins costume is designed by Trick or Treat Studio and is based on hundreds of images of the actual screen used costume. This includes the two pick roses in the center of tie. 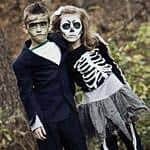 This Shining twins costume can be bought on Amazon. We were so happy to receive this picture from a family who decided to do a remake of The Shining. The girls and their parents are doing a really great job! If you have any Grady Twins pictures, you’d like to share with us, please write kate@about-twins.com. Kate Phillipa Clark has a bachelor in Journalism and an Executive Master in Corporate Communication. She is an identical twin and so is her father. Sign up to be notified when we launch contests and publish new articles.